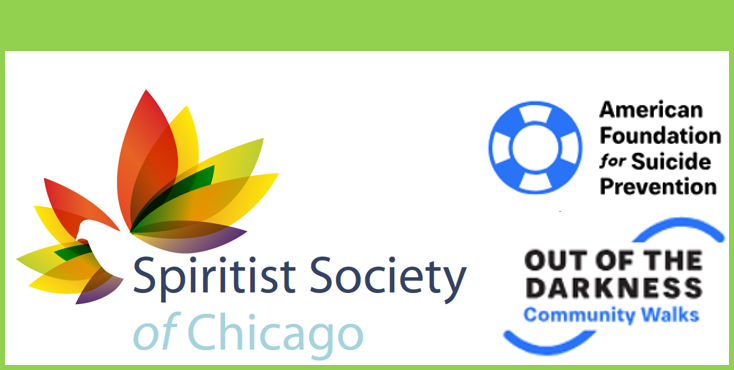 The Spiritist Society of Chicago is sponsoring for the 3rd consecutive year the Chicagoland Walk of the American Society for Suicide Prevention. Please join us on September 22nd at 10:30 on the meeting spot at Arvey Field. Our aim is to raise $1,000.00 for the American Society for Suicide Prevention. Please consider donating through SSC to support this cause. You can contribute with any amount.